South Beach Residences is about to boom, here’s why. This quarter of 2018, CDL reannounced plans to put South Beach Residences back to the market, suggesting that the market is right and primed for real estate. This could potentially mean the property outlook is strong for the next few years and while prices are rising, it is a great opportunity to spring into the first wave of purchases before prices skyrocket due to market speculation. What is South Beach Residences all about? South Beach is the epitome of the definition of an integrated development. 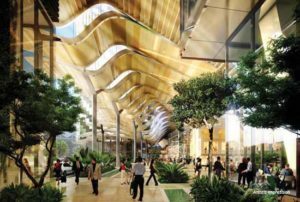 Situated right in the heart of the most happening and busiest district of Singapore, the development will consist of 5 Star Hotel, upscale Grade A Offices, Luxury Retail, Ballrooms, Business Centres and restaurants. South Beach Residences gives the opportunity to own an ultra-luxury residential unit in this mega-development. Jointly developed by City Developments Limited and IOI Group, South Beach is located next to the Esplanade MRT and City Hall MRT and within Downtown. The Condo itself includes about 500,000 sq feet of office space, 190 apartments, a 654-room hotel, about 37,000 sq ft of retail space and a 29,000 sq ft private club. You can guess why it attracted an excited crowd especially investors from around the region. Everyone wants to get a foot into this prime condominium since its becoming of an integrated resort-like development like the previously acclaimed Marina Bay Sands. Previously mentioned, we expect the real estate market to go nuts in 2018. This is in line with what we observe thus far: More and more new condo launches with up to 6,000 residential units up for grabs in Singapore. “This year, 18 private residential projects with an estimated 6,000 units were launched for sale, says Ong Teck Hui, JLL national director of research. He foresees about 20 projects being launched next year, yielding 8,000 to 9,000 units. Ong’s forecast for new home sales in 2018 is 11,000 to 12,000 units.” Up from 11,000 projected sales in 2017, this is roughly an 8.3% increase in projected sales. In fact, there has been a 38% increase in sales as we moved from April to May. No wonder South Beach Residences has always been ready for this moment – they wanted prospect buyers who are able to an ultra-luxury development like this! What makes South Beach Residences so attractive? Since South Beach Residences is developed beside the CBD, the site itself is fantastic. 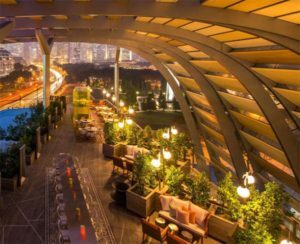 Get views of the sea, Singapore CBD skyline and the Marina Bay reservoir area all under 1 roof with a good bird’s eye view of the city landscape. Furthermore, the condo is rich in heritage too – The south-west face will open onto the War Memorial Park which houses the Civilian War Memorial monument. This is one of Singapore’s most famous heritage landmarks (completed and unveiled in 1967). It is highly unlikely this site will ever be redeveloped anywhere in the near future. Beyond that is the Padang and Esplanade Park which are open greenery space. This will probably be where the prime stacks will be facing as this frontage offers the best-unbridled view of the CBD skyline and the Marina Bay area. In Mathematics, you learn that two positives create a greater output. And here’s the situation developing for South Beach Residences. On one hand, a highly reputable development with incredible amenities, prime location, and one of the best views in the city. On the other hand, a property outlook that looks like it’s ready to charge into a bullish movement anytime. Which is why we think that South Beach Residences is set to boom for 2018. The current prices psf are not officially released yet, and we advise interested buyers to contact us to get an early preview during the relaunch, together with any E-brochures disbursement. Enough about the Condo, let us take a quick dive into what makes the area so special. South Beach Residences is located right at 38 Beach Road, surrounding South Beach Avenue. South Beach Avenue spans 32,000 sqft located within the basement, street level and conservation heritage buildings, South Beach Avenue has attracted many crowds from the Civic District. With direct connections to Esplanade MRT station and City Hall MRT interchange, many can now seamlessly enjoy convenient access to dining establishments and drinking experiences in South Beach Avenues’ expansive and generous spaces and exquisite. So be ready to enjoy your lifestyle when you finally decide to be a resident of South Beach Residences! Finally, how to find out more about South Beach Residences? Learn more about the project details and the Condo itself when you visit our main page at https://southbeachresidences-official.sg. For those who want to get a more personalized touch and an experienced consultant to understand and help you plan for the best suitable units for your purchase, then simply drop us an enquiry email at here. Park Colonial is a high rise luxury condominium with a total of about 734 units located behind Avon Park. It will be developed by CEL Unique Development Pte Ltd, which is a consortium of Chip Eng Seng Corp, Heeton Holdings and KSH Holdings. It is situated along 309 Upper Serangoon Road and Woodleigh Lane, with close proximity to Woodleigh MRT Station in Singapore. There are an estimated of 734 units with the price determine to be between S$1700 to S$1800 psf. The development will consist of investible sizes and also family friendly sizes. All the units will be designed with thought for space, comfort, and luxury living. The 2br units will have a choice between compact and with study units. The 3br will have a compact and grand model. There will be no 1br units, making the development truly one for the family, quality investor, and enjoying good demographic trend in the development. 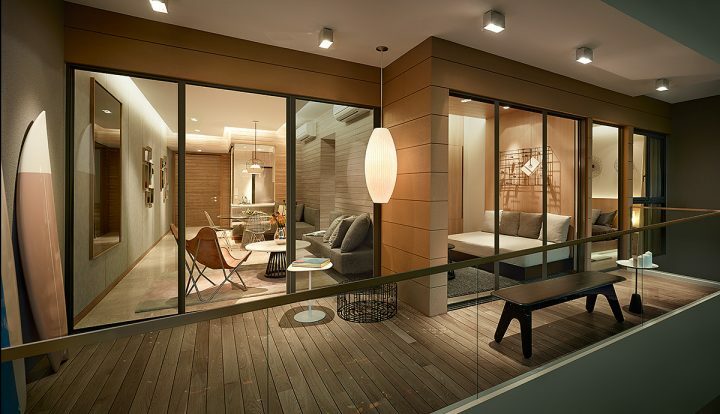 One main attraction of the Condominium is that is located as part of the Bidadari Estate. This will attract high rental demand and a good capital gain over the next 10 years. Bidadari is also connected and convenient because of the North East (Purple) and Circle (Yellow) Line. URA has termed Bidadari as a “Community Within a Garden”, and picturesque landscape and open greenery will be very much expected. Bidadari is will be a beautiful, urban oasis where all can seek calm, rest, and build a family. Park Colonial Condo is developed by CEL Unique Development Pte Ltd, a joint venture between CEL Development, Chip Eng Seng Corp, Heeton Singapore, and KSH Holdings Limited. The individual developers are very experienced with years in the realtor industry. “Since 2000, CEL has been actively acquiring sites for property development and investment. These developments include residential, commercial and industrial properties. The current portfolio of CEL includes mid-market and high-end prime properties. Hence, this condominium is in good hands and foreseeable good and quality development. Also note that Park Colonial will be one of the newest launch condominium in Singapore in March 2018, so hype and popularity will certainly build up. Gain access to the latest news and updates by Park Colonial. Register at the official site (see link above) to find out more and be part of the early preview residents. Harbour View Gardens is a freehold condo situated along Pasir Panjang Road. It will have direct connectivity to West Coast Highway and within walking distance to Haw Par Villa. Previously, it has gone through a series of tender before being successfully tendered by Roxy-Pacific at a bid of S$33.25m. 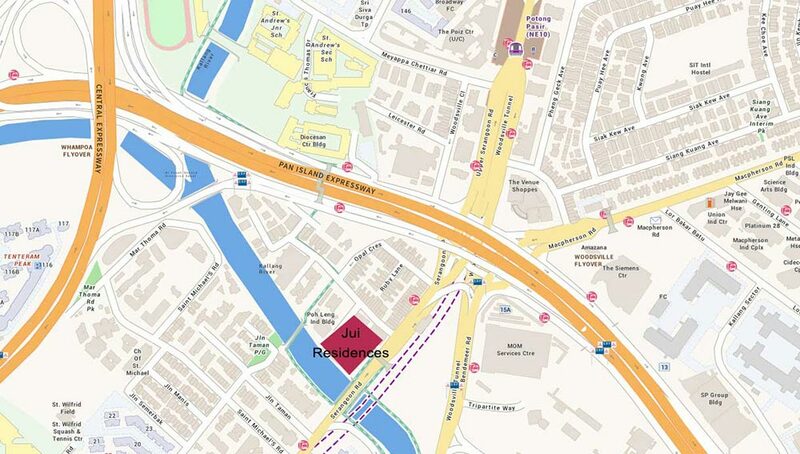 The site is within URA’s Queenstown Planning area. Comparative developments in the area includes The Orient, The Verandah Residences, One Residences. Nearby developments includes Icon@Pasir Panjang, Viva Vista, and Parc Imperial. Having a strong transport connectivity in terms of public road networks and MRT stations distance, residents living in Harbour View Gardens will enjoy seamless connectivity to the city and business nodes. This means it offers the convenience in a congested city like Singapore, and going to work will be a breeze. The close proximity to Haw Par Villa (and even Pasir Panjang MRT Station) means you can easily walk and get access to public transport. Forget driving when you are so close to the main attractions and CBD of Singapore. If you are looking to get an ideal location for your children, Harbour View Gardens Singapore could be perfect for you. NUHS as an Academic Health System will improve the health of our community through better and more cost-effective care, nurturing the next generation of healthcare professionals, world class research and empowering people to take ownership of their health. The prestigious schools nearby provides a merit education journey for your children, so you don’t have to go far or worry about long distance commuting to schools. 4. Centralized Location and Minutes to Orchard Road, Vivocity, CBD and Marina Bay. If you are one for shopping and visiting Singapore scenic attractions, you are in for a treat. Harbour View Gardens is situated along Pasir Panjang Road and is one of the centralized location within Singapore. With such an location, you can travel to metro shopping areas with ease. Harbour View Gardens is near important hubs that is part of Singapore’s URA Masterplan for business sectors. They include One-North, HarbourFront Precinct, Alexandra Precinct, Fusionopolis, and Holland Village. One of the noteworthy hubs, the Mapletree Business City, is a Grade-A integrated business Hub, modernised and revitalised the precinct. The total GFA Gross Floor Area is almost two million sqft. MBC will have the ARC aka Alexandra Retail Centre, it is a 3-storey shopping and convenience mall that will add 89,000sqft of retail space and 75 retail shops made up of a mix of restaurants, café, supermarket and banking facilities. The next and final stage of rejuvenation will see Mapletree transform The Comtech into the second phase of MBC, MBC II. MBC II will complement the existing state-of-the-art business facilities at MBC with new elements such as a sunk-in amphitheatre that rest in the middle of a lush green landscape, blending harmoniously with the nature parks located in the area. It will also feature innovative and adaptive space solutions, which will be supported by retail and F&B options. MBC II will also be home to Singapore’s tallest business park at 30 storeys. The completion of MBC II (expected in 2016) will reinforce MBC as a first-rate business park concept, further underpinning the development’s place as the centrepiece of Alexandra Precinct. 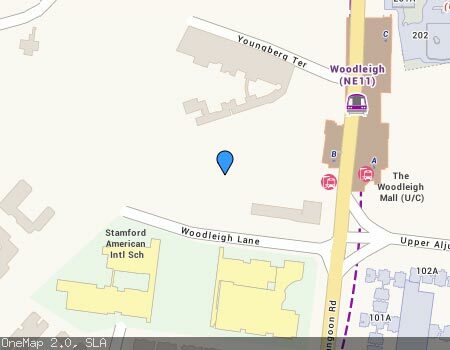 With Singapore getting more cramped and land-sparse, it is rare to find freehold units. Most offer 30 years now which is not ideal for both investing and living. 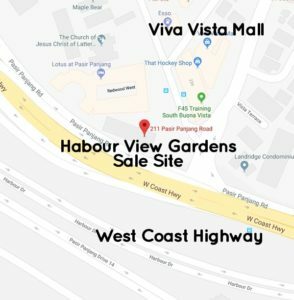 Harbour View Gardens will be a rare find amidst our real estate landscape, and be sure to keep track of this development to find out how it progresses. Jui Residences Condo is the latest development by SDB Singapore, Selangor Dredging Berhad (SDB). Located at 1177 Serangoon Road, it is situated in an established HDB estate with plenty of new developments, including minutes drive to Paya Lebar Hub, and a majestic water view of Sungei Kallang. 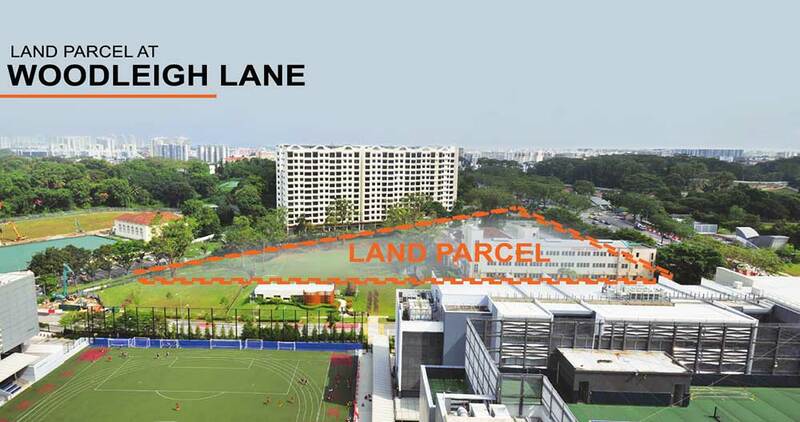 The condo land parcel at Jui Residences received a top offer of S$47m for the 31,705 sqft land plot of former building – National Aerated Water Company. SDB will work with Singapore in the conversation of nearby heritage buildings, and this residential estate will be one of the prime city fringe development. The project is officially announced at the end of 2017 with indicative prices expected to be released after CNY 2018. 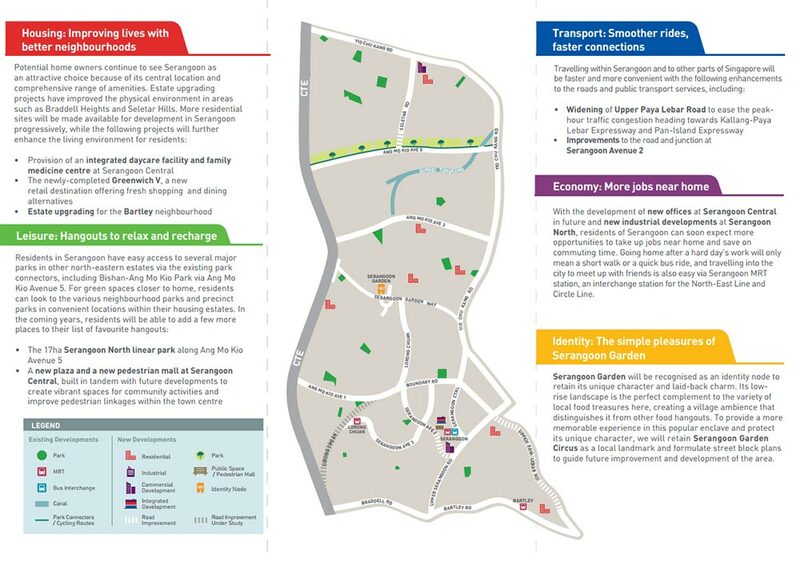 For starters, one may refer to the following Serangoon Masterplan by URA to get an idea of the estate Jui Residences Condo is developed in. 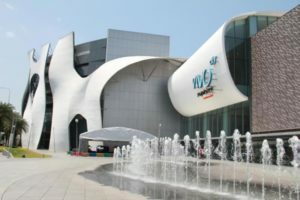 The building will be worked by Selangar Dredging Berhad to be transformed in a “unique and lively commercial area”, said Mr The Lip Kim, the managing director of SDB, and it lies next to a park connector. There will not be a fence along the main road and river, meaning that it will welcomed the public for a close up look and personal with this heritage gem. National Aerated Water Company is a Heritage Site that is a landmark with a rich history and is part of the whole DNA of this district. Kallang used to be industrial, and full of brickmaking kilns and sawmills. 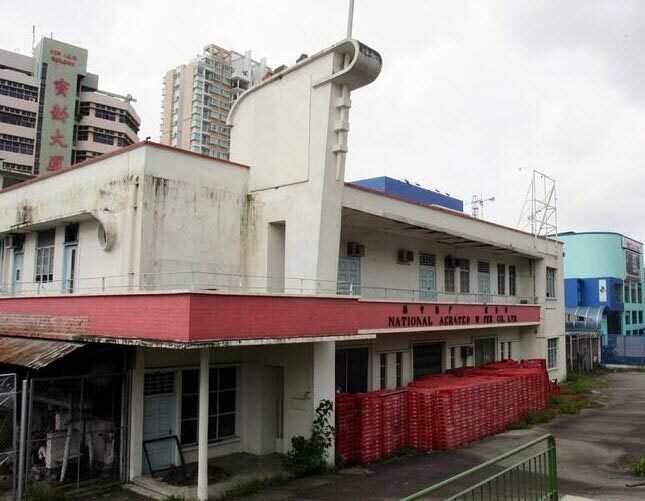 The now-famous St James Power Station was also in the national monument industrial heritage along with Kallang Airport and also Fort Factory. The price psf will only be released after CNY 2018. Do register early with the Jui Residences Official Developer Team to keep updated with the latest news. For now, we are certain there will be at least 1 to family bedroom options, with a total of 1177 units. The estimated psf will be aligned with surrounding Condominiums to keep it competitive by SDB. Jui Residences Condo will be beside Potong Pasir MRT. Residents will find transportation convenient and minutes to shopping malls like The Venue Shoppes, as well as local wet market Boon Keng Market. Here are some amenities that will be situated closeby: Kallang Community Club, Potong Pasir Town and Market, and The Poiz Centre. Education wise, Potong Pasir & Serangoon is known for the variety and strength of the education facilities and options. There is Bendemeer Primary and Secondary School, St Andrew’s Primary and Secondary, as well as St Andrew Junior College (SAJC). This covers a wide array of education options for a child from teenage to adult. To find out more, do sign up for the Jui Residences Show Flat.